Hanging a frameless mirror adds sparkle, light and an elegant look to any room decor but it is often challenging to find an installation method for drywall. Mirror clips are sometimes difficult to use due to the tools involved and nails leave unsightly holes in the wall area. Some mirrors are heavy for their size, and it is vital that you use the right tools to secure them to the wall. 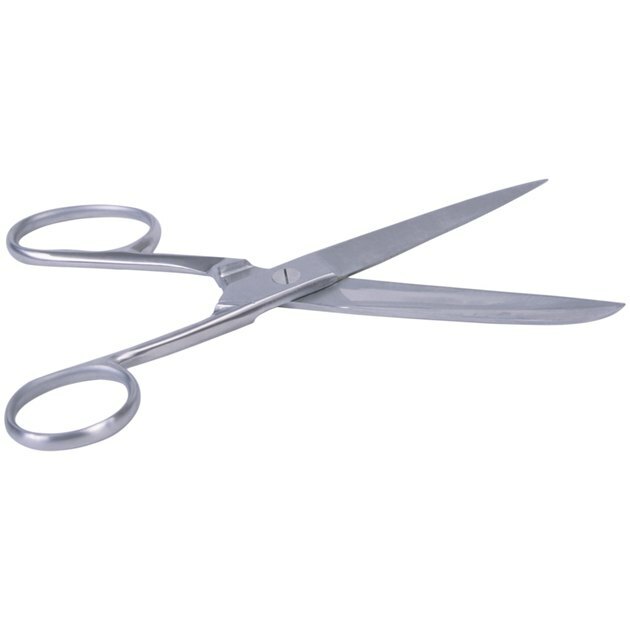 Sharp scissors are needed to cut the heavy duty tape. Clean the drywall by dusting the surface with a soft cloth. This helps ensure the frameless mirror is mounted securely on the wall. Spray mirror cleaner onto a cleaning cloth. Wipe the backside of the frameless mirror with it to rid the mirror of dust as well. Measure the perimeter of the mirror with a ruler. Jot down the sizes after subtracting 1/2 inch from each measurement. This ensures that the tape doesn't show around the perimeter. Cut the double-sided mounting tape to the sizes you wrote down. Use sharp scissors since the tape is quite thick. Use your fingers to remove the peel-off backing. Do this on one side of the tape only. Avoid touching the sticky section. This may remove some of the adhesive. Line the tape up with the back of the frameless mirror. Press it in place, smoothing it firmly along the backing with your fingertips. Repeat this with each piece of mounting tape. Lift off the other lining from the back of each piece of the tape. It is ready to attach to the drywall. Use a firm, steady pressure to ensure that the tape sticks to the drywall in all areas.